2015 Market Share of Leasing Companies in Japan - How much is it in Tokyo? Nikkei Press estimated the market share of leasing companies in Japan in 2015. 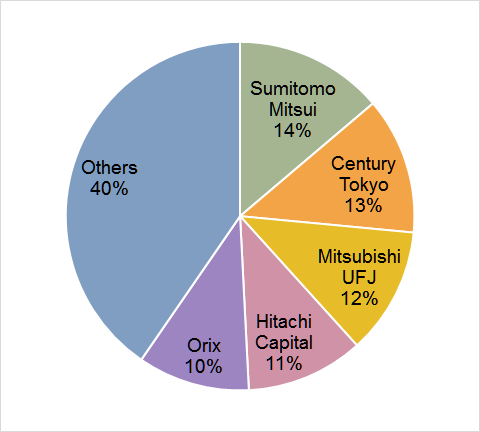 According to it, Sumitomo Mitsui Finance and Leasing has the biggest share (13.8%). The industry-wide total sales were 5 trillion yen in 2015. Source is Nikkei Sangyo Shimbun newspaper, the article on 2016 July 25th.